Only two weeks left to out third Ask&Advise Evening! This time we would like to invite you to an extraordinary place – downstairs exhibition space of the marvellous The Hunt Museum. 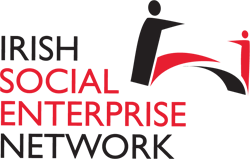 We are delighted Chris MM Gordon from Irish Social Enterprise Network will join us again to host the evening! If you don’t already have other plans for the evening of Tuesday, October 2nd – please join us – we need all hands on board (and it’s a great way to spend an evening, BTW). You’ll find more details on the registration page. Event is free and open to all. We ask you to register, but it’s nothing formal – we simply want to make sure there is enough space for everyone!